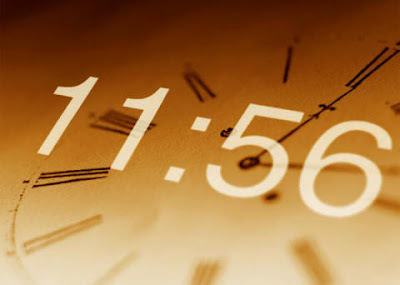 The title of this post reads: Daylight Savings Time on Windows XP Service Pack 1. As you may or may not be aware, America with their infinite wisdom (who knows they might prove me wrong!) decided, as part of the Energy Policy Act 2005 (US) to move the date they put their clock forward from the first Sunday of April to the second Sunday of March. Canada then followed suit. I run Windows XP Service Pack 1. I haven't been bothered updating to SP2. Microsoft issued a number of patches for nearly all their operating systems. The solution for XP SP1 was update to XP2 and then install their patch. I'm really not bothered doing that, so I needed a solution. After the temporary solution of actually changing the time zone to -07:00 from -08:00 I really needed a more permanent one. I came across a blog that dealt with DST updates for older versions of Windows. The answer is to download and install one of these unofficial patches... and voilà! I'm back on -08:00 and the clock reads the correct time! why not just install SP2?? My Laptop is 3 years old. It came with SP1 pre-installed and I upgraded to SP2. But after a few months there was a small problem with the build in card reader. Tech Support said it was SP2 as they recommend that you don't install it. So I had to format my Hard drive to prove it wasn't SP2 and get them to replace the faulty the Hardware! Now I just never go around to upgrading! Why fix it if it's not broken!